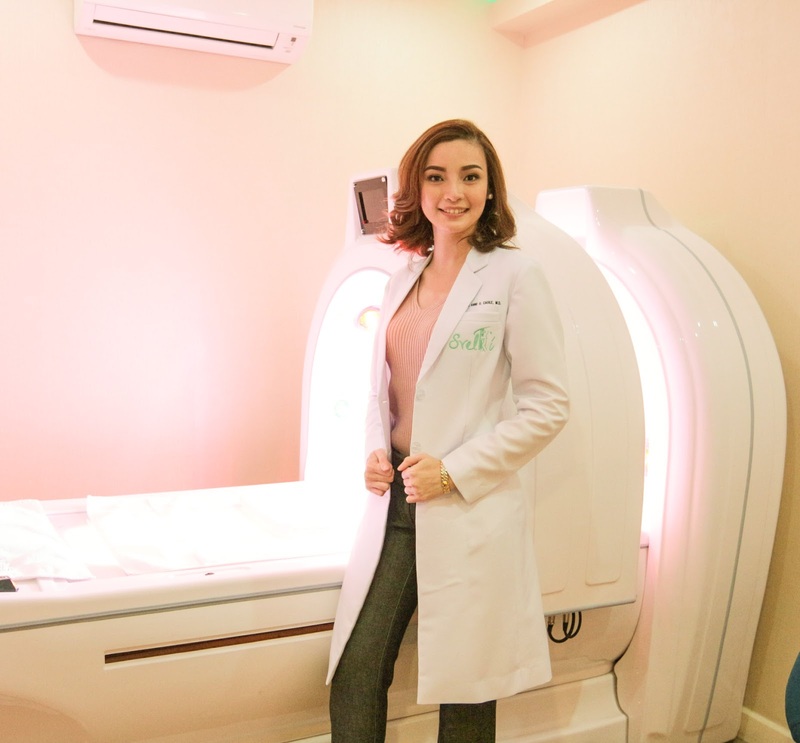 For the past two years, SvelT’i has been creating sweeping possibilities that unlock the customers’ health and beauty potentials while satisfying their needs and demands. To keep up with the changing times and as a way to say ‘Thank you’ for the customers’ continued trust, SvelT’i now offers a new set of services that aim to further defy the limits that constrict an individual’s health and attractiveness. Starting April, the clinic has been offering the latest techniques in minimally invasive treatments- from botox, dermal fillers, non-surgical nose lifts (HIKO), platelet-rich plasma (vampire facelift), mesotherapy, sclerotherapy, to thread lift. 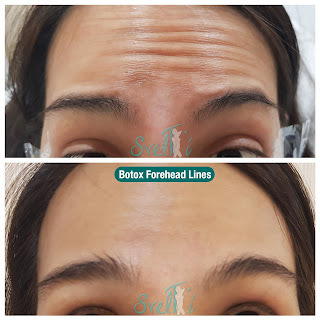 Botox is a neuromodulator that blocks the signal from the nerve to muscle, preventing the muscles to contract, hence preventing dynamic wrinkles to appear and worsen. When frown, forehead, bunny lines and crow’s feet are smoothened, an overall vitality is observed in the face. Filler injections are used to smooth moderate to severe facial wrinkles and folds, shape facial contours and add to volume loss to aging face. It is used to heighten the nose, transform tired looking sunken under eyes to a fresher look, rejuvenate or make the lips plumper, add volume to the cheeks and even augment the chin to make it more proportion to the face. Filler injection is a lunchtime procedure which gives an instant result. 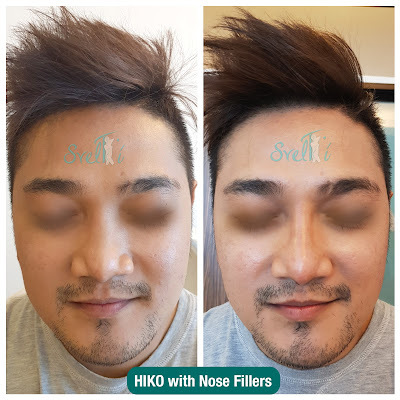 HIKO is a non-surgical noselift procedure that enhances the feature of the nose. It is an extremely popular procedure which gives the nose more definitive structure and lifts the nose tip. This involves inserting threads into the nose bridge and the tip. Combining nose threads and nose fillers will give you long lasting, higher and sharper nose creating the nose you've always wanted with minimal downtime. The platelet-rich plasma or vampire facelift includes drawing blood from the patient, separating the platelets then injecting it back into the skin. The platelets are high in growth factor that helps stimulate the skin to regenerate and aid in cell turnover, making it look youthful and vibrant. This procedure can be done not just on the face but on other aging parts of the body like the neck and hands. It also aids in addressing hair loss or thinning. This procedure employs multiple injections of fat-burning products and plant extracts into the subcutaneous fat. It targets localized and stubborn fats that are hard to eliminate even with exercise. This procedure has been performed all over the globe for over fifty years because of its effectiveness. 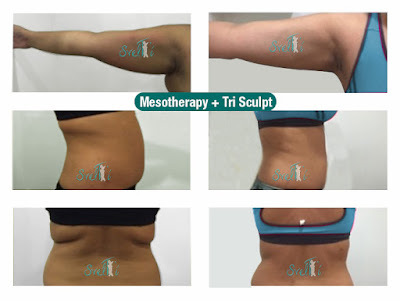 Other indication for the use of mesotherapy aside from weight loss is cellulite. Mesotherapy combined with SvelT’i's world-class slimming lasers produces faster and superior results. Spider veins that hinder the flaunting of smooth and toned leg scan are treated with sclerotherapy. Sclerotherapy is used to treat blood vessels like spider veins and smaller varicose veins. A sclerosing solution is injected into the unwanted veins which causes them to shrink and dissolve over a period of weeks as the body naturally absorbs the treated vein. 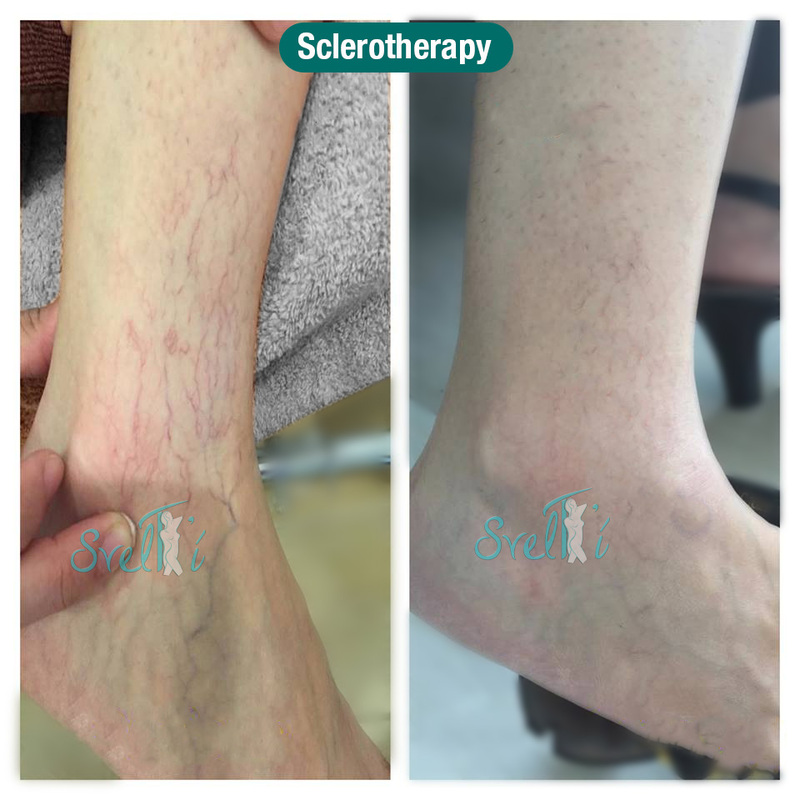 Sclerotherapy in combination with SvelT’i's Laser Vein treatment makes a recurrence of unsightly veins less likely. Thread lifting is a popular, non-invasive procedure that aims to reduce deep lines, facial folds, and sagging in the most natural way. These treatments are used mainly on the face but can also be applied on the neck and other body areas. SvelT’i is offering two types of thread lifting: V lift and Beauty thread. These procedures can stimulate the production of collagen the protein which gives our skin the youthful glow, causing tightness in the area. All types of threads tighten the surrounding tissues and increase blood supply resulting in a healthier and tighter looking skin making you look five to ten years younger. 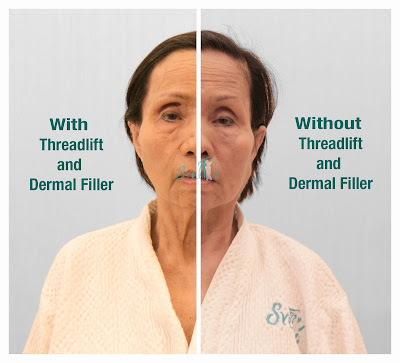 Now, who would’ve thought that a nonsurgical thread lift can give youthful longevity? These minimally invasive treatments together with the existing noninvasive procedures of SvelT’i assures the client that he or she can be transformed into a younger and better-looking person with no surgery and minimal downtime. And with this kind of technology, it’s absolutely possible to take a few years off the face with lesser expense and pain, unlike surgery. Living limitless begins with a choice and everyone has that choice. The choice to live a life without bounds. The choice to be a better and beautiful you! With all these new offerings from SvelT’i, there are no restrictions, no stopping points, and nothing will hold a person back from making herself feel well and look beautiful. To know more about SvelT’i, you may inquire at (02)332-7546 / 09188-SVELTI (783584) or visit the clinic at 5F South Insula Condominium #61 Timog Avenue, Quezon City from Mondays to Fridays from 9am-6pm and Saturdays from 8am-1pm. You may also visit SvelT’i FB page at www.facebook.com/sveltiph and IG account @SVELTI_PH. Di Na Muli was written in 2016 by long-time friends Jazz Nicolas and Wally Acolola. 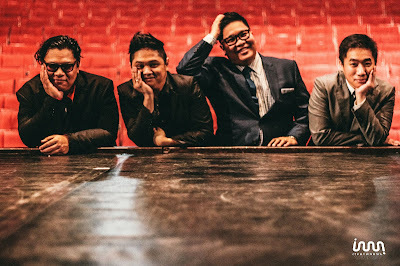 They entered the song into the 5th Philippine Popular (PhilPop) Music Festival, performed by The Itchyworms, where it won the grand prize. Now, in 2018, the song has been given new life in the official soundtrack of the hit film Sid &amp; Aya (Not A Love Story) (Viva Films, starring Dingdong Dantes and Anne Curtis, directed by Irene Villamor). The song's themes of love, loss, and words left unspoken, are embodied in the elegant performances of Rosky Balahadia Hilado (Teddy's widow, formerly of the Bayanihan Philippine Dance Company) and Carissa Adea (Ballet Philippines), and in the video's sweeping visuals, all captured within the hallowed halls of the CCP. The music video seeks to serve as a loving tribute to Teddy, whose influence is still felt and recognized to this day. The Itchyworms are now proud to share what is probably the first-ever music video shot inside the Cultural Center of the Philippines, and extend heartfelt thanks to those who helped bring the music video to fruition. For updates about The Itchyworms, you can follow them on Facebook, Twitter, and Instagram. Listen to the music of The Itchyworms on Spotify, Deezer and iTunes. Summer may be coming to an end, but don’t worry! GetGo has lined up the best and most exciting deals to help you plan and book that much-awaited getaway with your friends and family. 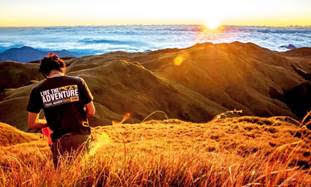 Members are up for hotter adventures as GetGo’s hotel and travel partners roll out its rewarding promos to let you take your friends and family to the most beautiful places inside and outside of the city. All you need to do is provide your GetGo number during booking and present any proof of membership that indicates your GetGo number plus a valid ID upon check in to instantly enjoy exclusive member rewards such as discounts and points! Craving for some vitamin sea? Drive your way to the beautiful south and indulge in the stunning view of crystal clear waters when you book a stay in Vivere Azure in Anilao, Batangas. You can also delight in world-class service and accommodation at Vivere Hotel Alabang. Members can redeem up to 70% off on bookings with Vivere Hotels, valid until March 11, 2019. See the charm of Panglao Island in Bohol and delight in breathtaking sights of its beach at the shores of The Bellevue Resort Bohol. Experience both comfort and luxury at the center of Alabang when you head down to The Bellevue Manila. GetGo members can take advantage of room discounts up to 65% until November 30, 2018 at The Bellevue Hotels. Want to enjoy the vibrant city life? Live right at the heart of Makati’s central business and entertainment districts and enjoy 60% off on room rates until March 12, 2019 at Best Western Oxford Suites. It is conveniently located within walking distances from malls, museums, and parks so you can make the most out of your staycation. Members can also experience a luxurious staycation at Hotel Celeste as it offers as much as 45% discounts for reservations until March 6, 2019. Looking for some time away from the hustle and bustle of the city? Pack your bags and drive to Orchid Garden Suites in Malate, Manila. Tucked along the streets of Vito Cruz, this boutique hotel impresses guests with its classic charm and welcoming ambiance. 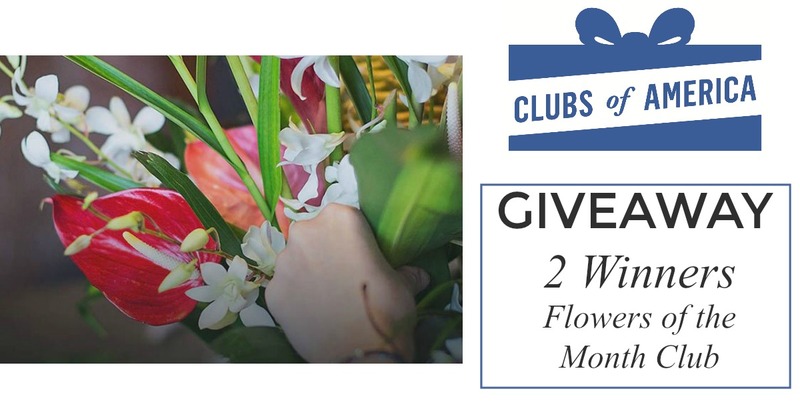 Likewise, this hotel has a rich history to share and GetGo members can discover it for themselves when they book rooms with up to 45% off until March 11, 2019. GetGo members can also have a relaxing staycation while earning points to #FlyForFree when booking with the program’s hotel partners. Enjoy affordable and comfortable accommodation at Go Hotels and Summit Hotels and collect 2 points per P100 spend. Every qualifying stay at the world-class rooms of Crowne Plaza Manila Galleria and Holiday Inn Manila Galleria also rewards members with a GetGo point. See the wonders of the different places in the Philippines when you visit Taal Vista Hotel, Pico Sands Hotel, Radisson Blu Cebu, Park Inn by Radisson Clark, or Park Inn by Radisson Davao and earn up to 500 GetGo points. Likewise, eager wanderlusts and wide-eyed travelers can go on more trips and collect points for their next adventure with GetGo’s travel partners. Thousands of hotel rooms at the best deals await members who will book with Agoda and Kaligo where they can get up to 10,000 points per booking. Explore local destinations with Travelbook.ph and earn a point per P10 spend. Never miss the opportunity to update your social media when you roam with Traveling Connect and enjoy GetGo points. You can also complete your travel itinerary with mountain hikes and unconventional tours with Klook, Trail Adventours, and Experience Philippines and get additional points per P100 spend. 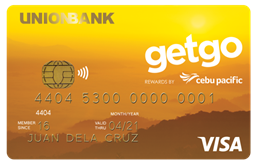 For more chances of collecting points faster, members can use any of their Cebu Pacific GetGo Cards by UnionBank to turn everyday purchases into exciting free Cebu Pacific flights! So call your loved ones, pack your bags, and get going to your next travel destination. With GetGo’s enticing deals and promos, members can definitely enjoy a rewarding vacation like no other. For more information on memberships and partnerships, visit www.getgo.com.ph. Stay updated on the latest promos by liking GetGoPH’s official pages on Facebook, Twitter, and Instagram. Val and I love the rain. It actually means more time to spend together. If it is really not that important, we actually cancel our plans of going out and simply just stay at home. Personally, I consider the rain as a blessing from God especially after I saw how much it meant to the farmers during El Niño. Thus, we came up with a list of top 5 things to do at home when it's raining. 1. 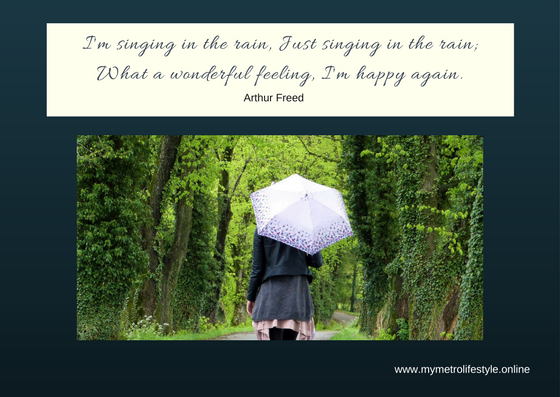 Movie Marathon or Binge Watching - This may be the most popular thing to do when it's raining. Whether you decide to watch a movie or catch up with your missed TV series, just make sure to have popcorn ready. 3. Give Yourself a DIY Pampering Session - Whether it's hot oil, deep conditioning, own mani-pedicure session, or simply cutting your nails, take this opportunity to take care of yourself. A DIY pampering session is the one of the greatest ways to express self-love. 4. Hobby Time - With our fast-paced lifestyle, we may often forget our little passions such as writing, drawing, crafting or singing. Do what you love most, find the time to pursue your passion. 5. Keep Yourself Warm - It may be raining outside but it's not enough reason to get cold. 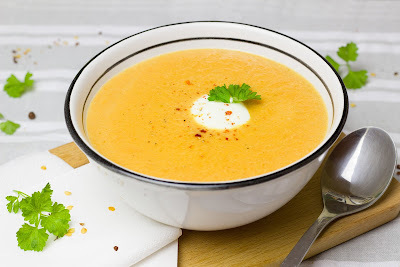 Make sure to keep yourself warm by enjoying MAS Soup Sarap. It's so easy to prepare. You just have to add hot water and you'll be able to enjoy a creamy and delicious soup in less than one minute. It is available in 3 flavors: Chicken and Corn, Seafood and Mushroom. MAS Soup Sarap is available in all leading supermarkets and 7/11 stores nationwide. How about you? Do you have other ideas on what to do during a rainy day? Feel free to share your thoughts below. Cancer is one the most dreaded diseases and can mean the end of the world for patients including their families. However, this should not be the case because there is still hope against "The Big C." Early detection of cancer can make a difference and increase the chance of successful treatment. According to the World Health Organization, recognizing possible warning signs of cancer and taking prompt action can lead to early diagnosis. Thus, it is very important that the first step which is screening and diagnosis must be made by an expert. Access to sufficient facilities is also very crucial. After all, there is no room for errors and every minute counts. 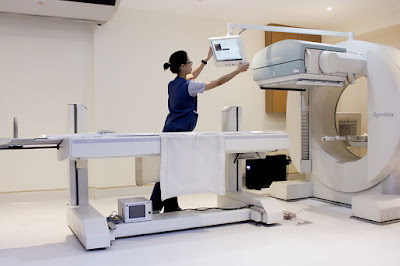 Thus, learning about ManilaMed’s Cancer Care Center provides the peace of mind that there is a place which delivers compassionate patient care with the best outcome. They help patients #feelbetter during unfortunate and trying times. 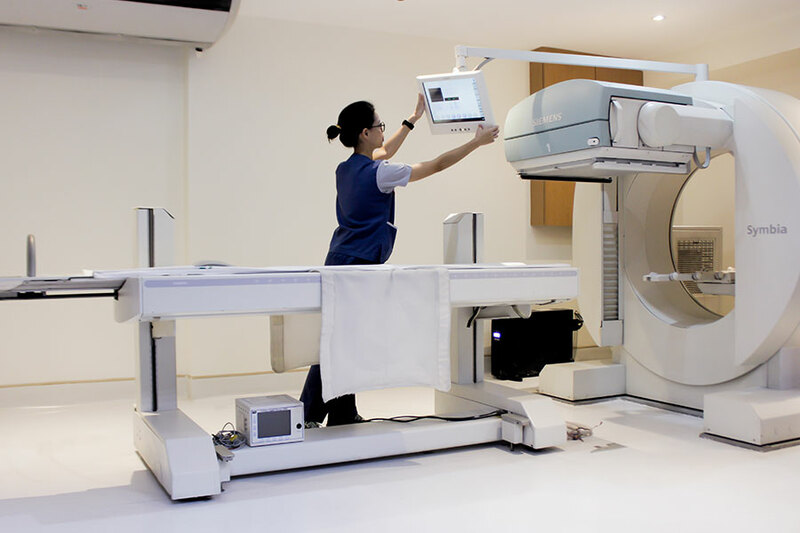 ManilaMed is a complete, one-stop facility that provides for the needs of its patients. From diagnostic procedures, specialized surgical procedure surgery, radiation oncology and systemic chemotherapy, the Cancer Care Center has everything needed to treat and manage cancer cases. The Diagnostic Procedures provide an accurate analysis of tissues that confirms the presence of cancer, distinguishing the exact location, size, stage and tumor type. 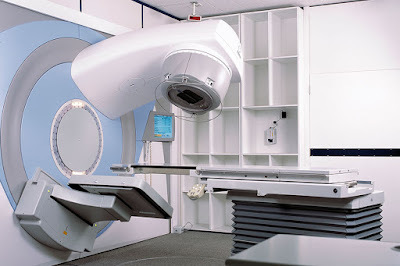 In this section, evaluation of cancer treatment also includes Mammography, Computed Tomography Scanning (CT-Scan), Magnetic Resonance Imaging (MRI), Nuclear Medicine Imaging, Histopathology and Immunohistochemistry, and Endoscopy. For patients who require surgery, the Specialized Surgical Procedure Surgery section is the most essential. This section prioritizes surgeries under Breast-conserving, Sphincter-Preserving and Laparoscopic Colorectal. The Cancer Care Center also offers Radiation Oncology. 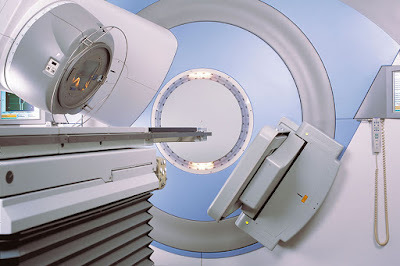 Under this are various types of effective, high-tech treatments such as: Computerized Treatment Planning, 2D Conventional Radiotherapy, 3D Conformed Radiotherapy and Intensity-Modulated. There's also the Systemic Chemotherapy section that provides chemotherapy treatments. Treatments combine Immunotherapy, Intrathecal chemotherapy, Intravenous and oral chemotherapy. The ManilaMed Cancer Center located at United Nations Avenue, Ermita, Manila. It is open from 8AM to 5PM, Monday to Fridays (except holidays). For more information, please call 523 8131 loc. 2647 or email cancercarecenter@manilamed.com.ph You may also visit their website. Last May 12, 2015, Val and I relocated to Bacolod to say goodbye to the crazy pollution, endless traffic and fast-paced Metro Manila life. It was a big decision to let go of our jobs as well as the great opportunities that we have. Not to mention that we'll be missing our friends and loved ones. But hey, we are so ready to take our married life to the next level and get ready for a new adventure! Our whole new adventure starts with our "epic" journey. It is the longest land trip I have ever taken. Normally, it should take you 18-20 hours however, we had a lot of stops thus, ours was a bit longer. We left around 12:30am bound for Batangas via SLEX and Star Tollways. We wanted to leave a bit late to avoid the traffic in EDSA since we're from way up North. 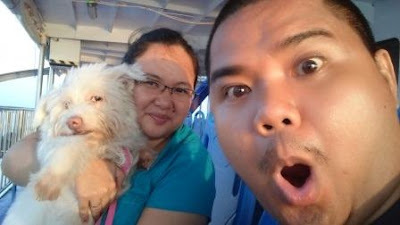 We arrived at the Batangas port around 4:00am but we were late for the RORO trip and waited for the next one at 5am. While waiting, we just decided to have some breakfast. We left Batangas port around 5:30am bound for Calapan, Mindoro. 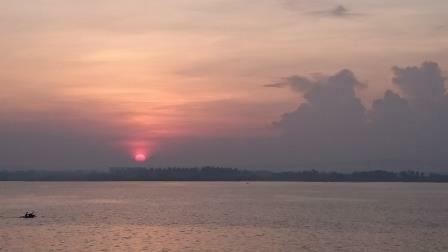 It was actually the best time to travel since we are in the middle of sea during sunrise, Watching the sun rise was a liberating experience as it marked the beginning of our new adventure. Even Crumpy enjoyed the trip since you can feel the wind brushing against your skin. We arrived at Calapan Port around 8:30am and we are up for another 3-hour drive going to Roxas City port. This is our first time in this place and honestly, do not have any idea where to go. Our game plan was just follow the signs (which was sufficient and very helpful) plus our handy google maps. The road condition is good. Kudos for the nautical highway project! We passed several small towns and stopped for drinks and gas along the way. We reached Roxas City port around 11:30am but unfortunately, the next RORO bound for Caticlan will leave by 3:30pm. I guess that means we have ample time to rest and eat before the next trip. Since we barely know the place, we opted to have lunch at Andok's (a known company in Metro Manila) and we had a simple rice and bbq meal. Andok's is just very near the port. The sun was scorching hot that we felt uneasy. So, Val and I decided to use the port's shower room for Php 20.00/head. Our trip from Roxas to Caticlan was quite long (approximately 5 hours) via Montenegro Shipping Lines. We were already tired and sleepy but had no place to really rest. Val and I decided to stay on the upper most part of the ship. 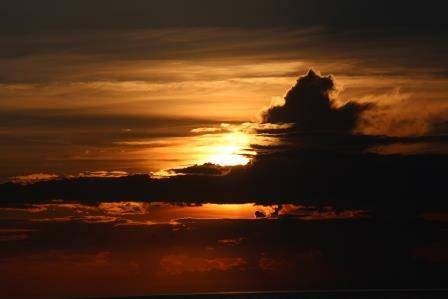 We are were also very lucky to see the beautiful sunset on the later part of the trip. We arrived in Caticlan around 8:30pm and we decided to stay overnight there. Unfortunately, all hotels and inn are fully booked because of the APEC Summit and we did not have any reservations. We tried to ask a few locals for suggestions and they recommended that we travel all the way to Kalibo proper to get a room. It took as approximately 2 hours to get to Kalibo. The roads are too dark and no light posts available. There wasn't any signage on the road (unlike the ones in Mindoro.) On the brighter side, there were checkpoints and PNP outposts every 1 km because of the APEC Summit. So, at least we were able to ask directions every now and then. 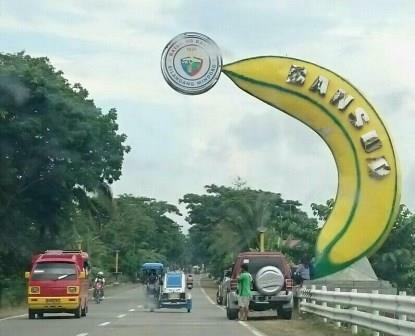 You would know that you've reach Kalibo once you pass by the famous Kalibo bridge. Unfortunately, I was so tired and it was dark that we weren't able to take pictures. We were lucky enough to find a pet friendly inn immediately during the night. I made a separate review of the inn, here. 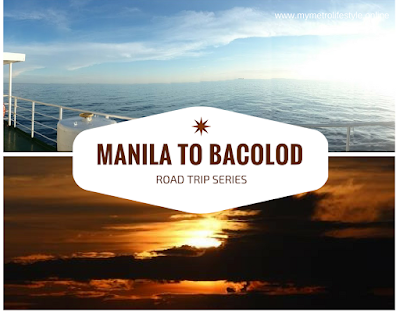 Around 10pm the next day, we decided to continue the drive going to Dumangas port. It is best to travel during the day because the roads are quite confusing with all the turns and no signages. You'll be able pass by Capiz before you reach Iloilo. We actually had lunch in Capiz since there's a Mang Inasal and Deco's in Mambusao proper. We reached Dumangas port around 3PM and did not expect the problem getting into the RORO. Apparently, one of the ships of Montenegro broke down and Tristar would need a reservation a day before. Our only chance is a no-show of passengers with reservation. We spent the afternoon chatting with other travelers and I can say we had made friends along the way. We learned that some of them have been there for a week but can't get their trucks on board because it's fully booked. Just like us, they are on the wait list. Being on the wait list, not only means "first come first served" but they are also considering the size of your vehicle. We got lucky and got on board around 8:00pm and then finally, arrived in Bacolod around 11:30pm. About the fees and expenses, here's what we actually paid. Well, it was costly and tiring but the experience is all worth it. Indeed, it was "our adventure of a lifetime." If you would like to get a copy of the screenshots of the map we used, then send us a message. Planning your next road trip or have any questions, just leave a comment below. UPDATE: I lost my hard drive and no longer have access to the screenshots of the maps. However, if you have questions, just send me a message. So sorry! FAMILY IS A GIFT Conference is happening on June 16, 2018, 8:00 AM to 5:00 PM at the SMX Convention Center, Mall of Asia Complex, Pasay City. 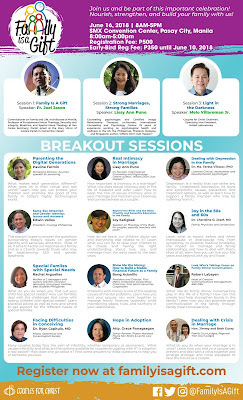 This whole day event aims to showcase the gift of the family, its dignity, and high calling, recognize the challenges families go through today, provide tools that will help couples and families confront these challenges in the form of workshops/breakout sessions and exhort families to work together and persevere in building strong, Christ-centered families that will build a strong, Christ-centered society. 1. The family is a gift. 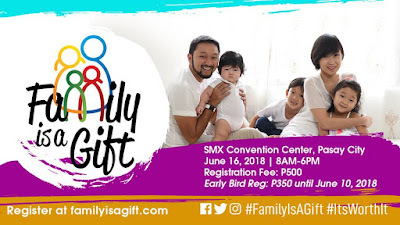 Children are born from an act of mutual self-gift; the family is the first environment where we are received as a gift and where we become a gift to another. Being a gift is being in communion. The marriage of husband and wife is the symbol of the communion of the Trinity and the communion of Christ and the Church. Through their mutual self-gift and life-giving union, children are born. 3. As families we don’t just exist for ourselves; we don’t secure the welfare only of our own children. We exist in a community of families that interact and depend on one other; the weakness of one part affects the whole body. 4. Strong families begin with strong marriages. Marriage is where husband and wife make a total gift of self to each other and become fruitful. Strong marriages allow the light of the family to shine more brightly as it illuminates the way for the children and the future generations, and for other families around it. Speaker: Fr. Joel Jason, Commissioner on Family and Life, Archdiocese of Manila. Professor of Fundamental Moral Theology, Sexuality and Integrity, Bioethics, and Special Moral Theology at San Carlos Seminary. Parish priest at the Mary Mirror of Justice Parish in Comembo, Makati. Strong families do not just happen. They require hard work, time, and a solid sense of connectedness between spouses. 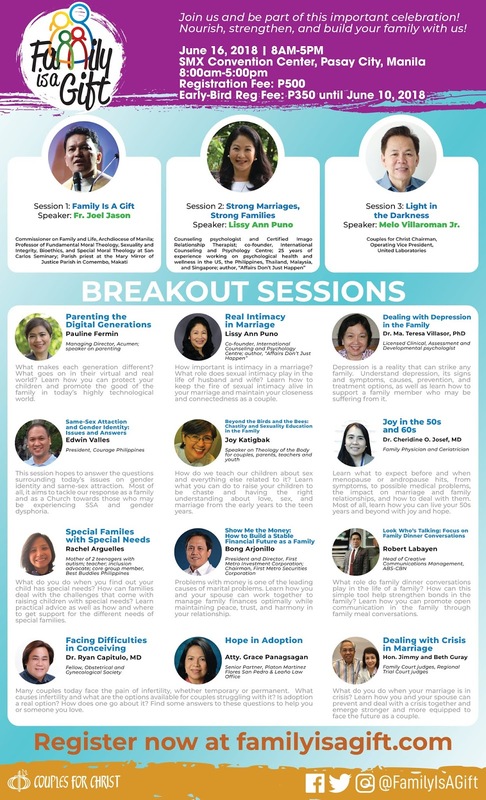 Speaker: Lissy Ann Puno, counseling psychologist and Certified Imago Relationship Therapist in private practice in Singapore where she is the co-founder of the International Counseling and Psychology Centre; has 25 years of experience working on psychological health and wellness in the US, the Philippines, Thailand, Malaysia, and now Singapore; author of “Affairs Don’t Just Happen” a book on protecting marriages and long-term relationships; workshop presenter for the “Getting the Love You Want” couples workshop. 5. The family is threatened but not helpless. As families, we will not allow the darkness to overwhelm us and extinguish our light. Parents need to take charge of the future and welfare of their families while also working to help other families. Parents and children need to be equipped with practical, relevant ways to work together to address issues that beset them and the culture in which they live. Families working together create a bigger, brighter light that will reveal and bring to the reality God’s plan for His children. 6. Strong, Christ-centered families together build a strong, Christ-centered society. 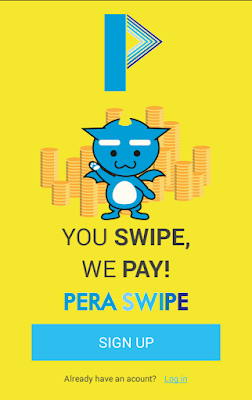 It has been a week since I have downloaded the latest popular app, Pera Swipe. If you have no idea what I am talking about. Pera Swipe is an efficient all-in-one lock screen platform for Filipino smartphone users where they reward users with points that can be redeemed for mobile load and other prizes. You can read more about it here. Some may say that Pera Swipe seems too good to be true but it is actually a win-win solution for both users and advertisers. A definite innovation in digital marketing that is easy, rewarding and actually helpful. Like last Monday, we were thinking what to buy for dinner and was having a hard time deciding. 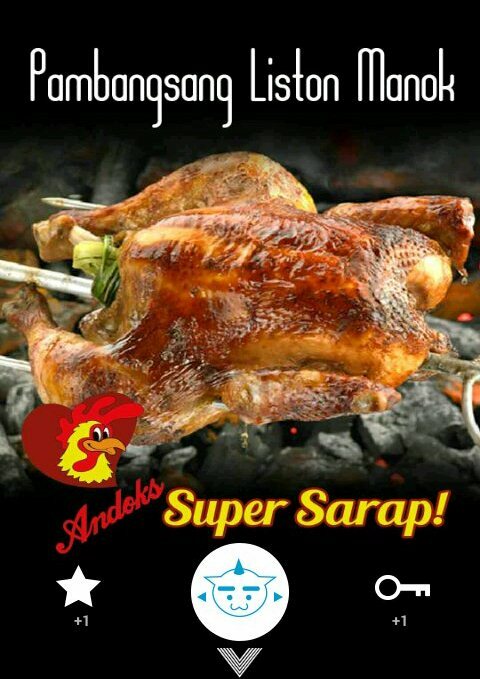 Thanks to Pera Swipe, I saw their post and we got ourselves lechon manok from Andoks. Pera Swipe shows its users relevant and useful ads. However the ads are not the best thing about it. 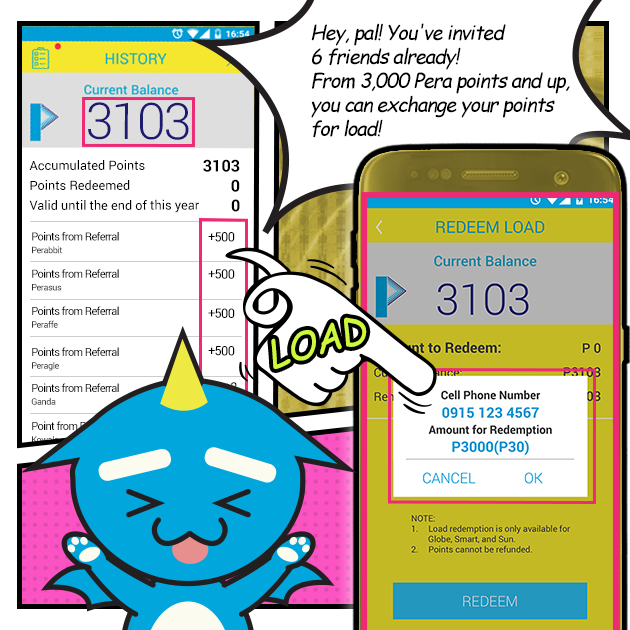 Instead, the points that can be redeemed for rewards is the main reason why you should download the app. And there are several ways to earn points aside from swiping. 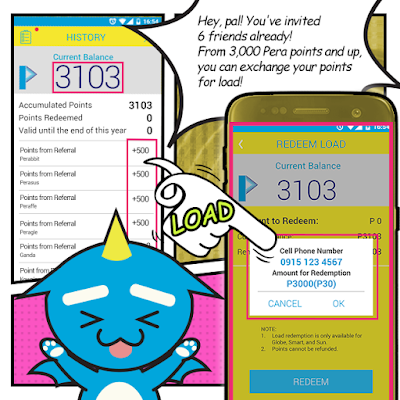 Based on my experience, I was able to earn 1,200+ points in 3-days enough to get me a Php 10 prepaid load. Thus, I can say that getting rewards is very attainable. Just remember to always check the EVENTS Tab in order to participate in different promotions to earn additional points. Here are some questions raised by other readers about Pera Swipe. 1. How do they earn from it? This is not confirmed but I believe Pera Swipe earns through product advertisements shown through the app. 2. Does it load up your phone with unnecessary stuff? The good news is it doesn't load your phone with unnecessary stuff. I did not notice any changes to the performance of my device. 3. How long has the app been around? 4. Can I still use this app even if I am a postpaid user? Yes, definitely. Aside from prepaid load, you can also redeem Sodexo Mobile Passes that you can use for shopping and dining. 5. How was the redemption process? The redemption process is easy but is on a limited schedule. Prepaid load can only be redeemed from 9AM-9PM. Sodexo Mobile Pass are redeemed manually. You just have to fill out a google form. Redemption cut-off is every Tuesday (11:59PM) and codes will be sent by Friday. 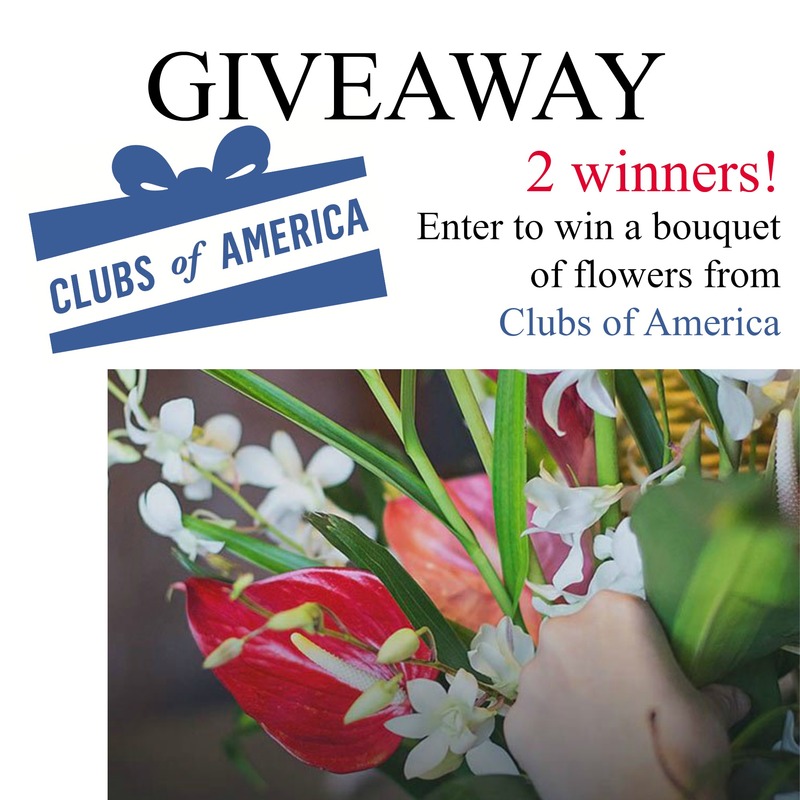 These are delivered to the mobile number and email address provided during the redemption process. Also, here are my other observations about Pera Swipe. You need internet connection to use it. It does not work on rooted devices. So, what are you waiting for? Download now at https://goo.gl/KnFjgL and sign-up using this referral code: mymetrolifestyle and get 500 points instantly! Do you have any questions, feel free to comment below.